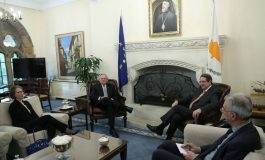 Nicosia.- – US Assistant Secretary of State for international organisations Brian Hook said on Friday that the United States look to the leaders of the two communities in Cyprus to chart the path forward and noted that the US role is to support those efforts. Hook was speaking after a meeting in Nicosia with Minister of Foreign Affairs Marcos Kyprianou, who said the government is waiting to see how the US contribution could be most helpful, adding that the Greek Cypriot side calls on all countries with good relations with Turkey to exert their influence, so that Turkey would be more positive. Kyprianou noted that remarks from Ankara have not proven that Turkey is committed to the form of a solution under discussion in Cyprus and expressed hope that Turkey’s election as a non permanent member of the UN Security Council would not affect the role the Security Council is playing in the Cyprus problem. 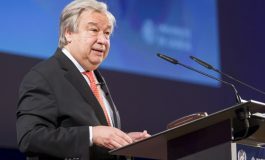 He added that his trip to Cyprus gave him the opportunity ”to meet with UN officials on the ground here, particularly UNFICYP officials,” noting that the renewal of the mandate of UNFICYP will be coming up in December. ”I wanted to talk with officials here to see how the mandate is going, if we need to make any changes to it. The US will support the renewal of the UNFICYP mandate, as we always have in the past,” Hook said. 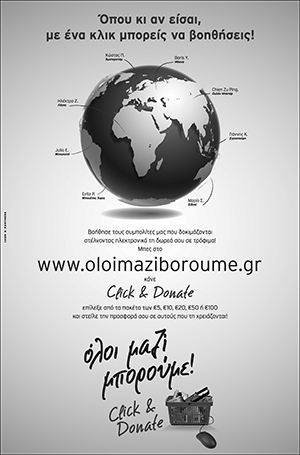 ”We look to the leaders to chart the path forward and it is our role to support those efforts, to facilitate where we can but to play a very supportive role, an encouraging role, because I think we all want to see a solution to the Cyprus problem,” he added. The Cypriot Minister informed Hook on the latest developments in the Cyprus problem and the ongoing direct talks between the leaders of the two communities with an aim to reach a settlement, and also discussed Turkey’s election as a non permanent member of the UN Security Council and ”the concerns of the Republic of Cyprus” regarding this development. 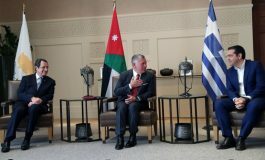 ”I would not interpret this as a move against Cyprus but it indicates a reality of the new state of order, which we must take into consideration,” he added.